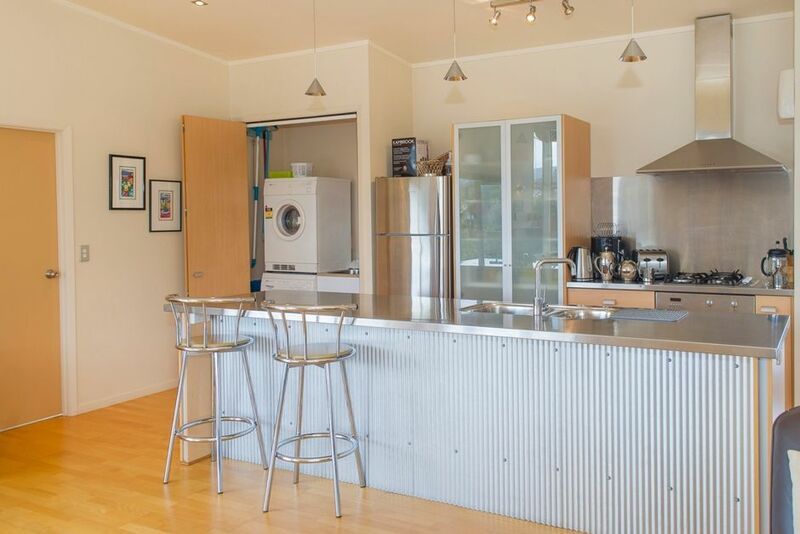 Marlins Beach Bach is a modern newley decorated holiday home just a couple of mins stroll to the stunning Buffalo Beach Whitianga. It's open plan living has everything you could ask for from a holiday home and more. Located in a quiet street It's safe for the kids and even has games on hand for family nights in. Most rooms have doors that open up onto outside decks which are surrounded by a garden for you to enjoy and soak up the relaxing vibe Whitianga has to offer. If your more of an adventurer why not take a cruise on the glass bottom boat or an island hopping jet ski ride, but while your here a must do is a trip to hot water beach with a spade to sit in one of nature's wonders and enjoy natural hot springs on the beach. The house is attractive and comfortable and we thoroughly enjoyed our stay. It was hot inside during the summer heat, and although there was no air conditioning, we did manage to keep cool. The lack of wifi was good for relaxing but made things like making forward bookings harder than they needed to be. The facilities were generally very good. One bathroom connected to two bedrooms which was not ideal. The property was well located for our purposes, being close to the beach and a little way distant from the centre of Whitianga. We would have welcomed earlier communication about how to access the property and some information on what to do with rubbish etc. Lovely quiet place. Would like to stay again. Perfect accomodation to rest after an enjoyable and FUN day around the region! Only con for this property is the WIFI. BUT, who needs WIFI if you’re on a holiday trip and to enjoy all the experience! Absolutely great for us ... we loved it. Great location and good spacious lounge/kitchen, lovely home! Great location and good spacious lounge/kitchen, lovely home!! Unfortunately the gas heater didn’t work the day we stayed but they tried their best to get it working and offered us another oil column heater instead. Would definitely come back and stay here again!! !